Then, select the 4th tab which is called "Account Settings". 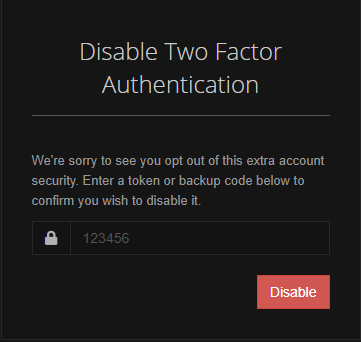 Under the 'Two Factor Authentication', you will be able to see the button "Manage Two Factor Authentication", click on it. Now, you should have ended to this location. If you scroll down a bit, you should be able to review your back up codes. When you scroll down a bit more, you should be able to disable the 2FA. Note: When removing the two-factor authentication from your TruckersMP profile, you still need the application to insert the final code as a confirmation to remove it. If you're unable to see your back up codes and you don't have an access to the authenticator application any longer, you should create a support ticket and explain the situation.